Powertrain parts supplier Linamar Corp. has been on an investment wave since the industry downturn of 2007. 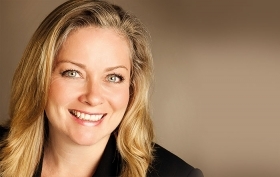 CEO Linda Hasenfratz has bolstered the Guelph, Ontario, manufacturer with capital investments in plants and engineering, and in Canada and the U.S. That includes a new US$200 million aluminum die-casting plant that opened last year in Mills River, N.C., in partnership with the Swiss machining company Georg Fischer. Over the past year, Hasenfratz, 51, has spoken out publicly in support of continued free trade between the U.S. and Canada, urging political leaders to consider that free trade is vital to the auto industry's economic development. She spoke with News Editor Lindsay Chappell about the current mood of capital investment. Q: You have four plants in North Carolina — three of which opened after 2010. What attracted your most recent project to North Carolina? A: North Carolina was an ideal location because we already had high-precision die-casting operations there. We like to keep our plants close together, and also to keep our plants a little on the smaller side. It makes for a supplier that can be nimble and responsive to the customer. North Carolina's government has also been great to work with in providing the work force training we need. But we hear there's still more to come for you in North Carolina, correct? Yes. This is Phase 1. There are more plans coming in the future. We believe there is a real shift happening in the industry that we as a supplier will be able to take advantage of, to grow there with some additional investment. Are you referring to Linamar's success in taking over critical engine operations that traditionally have been done in-house by the automakers themselves? Yes. It's an issue of capital availability. The automakers are facing many different demands for their capital right now — to fund electrification, to pay for development in autonomous, to meet fuel regulations and a lot of other issues. They just don't have endless resources to continue spending on every front. So it's forcing them to take a harder look at some of the sacred cows that they have always had — and engine work is one of them. Only about 30 per cent of powertrain work is outsourced today. We expect to see a lot more opportunities come our way in the future. Mills River can cast vehicle structural components out of lightweight metal that are 40 to 50 per cent lighter than the traditional parts. 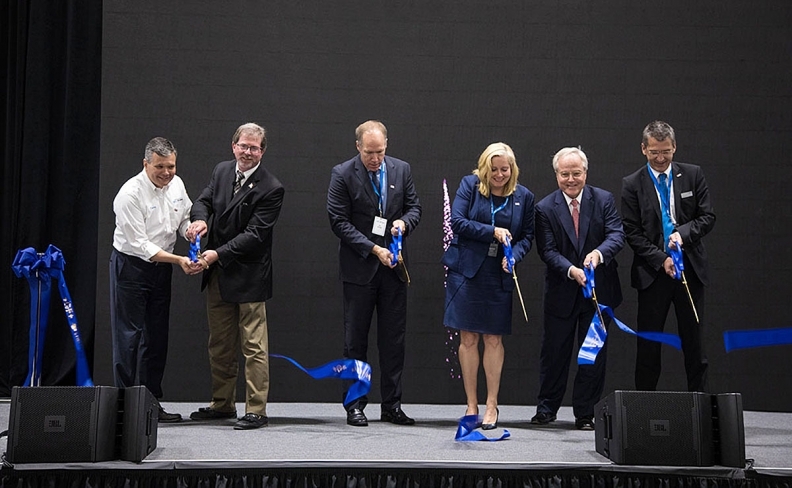 Linamar CEO Linda Hasenfratz takes part in the ribbon-cutting ceremony at the supplier's new die-casting plant in Mills River, N.C., which opened last year. Where else are you investing? We've committed another US$500 million in investment in Canada. We have a growing business in driveline parts, including electronic axles. Last year, 20 to 25 per cent of our business came from battery-electric and hybrid drive vehicle programs. That's an important new area for us. And part of that US$500 million investment is for the creation of an Innovation Centre to develop our engineering resources. You've been vocal in the press about the need to uphold a North American free trade agreement. Would the demise of NAFTA affect where you invest in the future? I'm not letting NAFTA discussions impact our decisions about future investments. We prefer to take a longer-range view of our business, to focus on long-range fundamentals. What are the best choices for us to make to be successful? Governments can change, and they do. My wish would be to operate in a tariff-free world, where we can buy goods and sell goods wherever we need to. But we also must be mindful of the potential for challenges. If we lose NAFTA, and we're faced with tariffs of two to three per cent on parts that cross the border, the problem is that it's just added cost that all rolls up to the automaker. And then the automaker has to pass it along to the consumer.